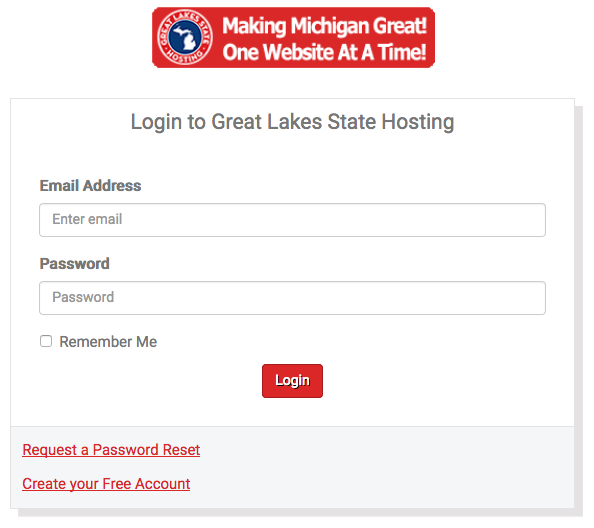 To log into the Client Area, you must first go to the Home Page located at https://greatlakesstate.hosting/index.php. Once there in the upper right hand corner of the screen, you will see a Lock next to the words Client Area. Click on it. This will take you to the log in screen where you can proceed to log in. https://greatlakesstate.hosting/clientarea.php.